Chiropractic Care. Is it really a reliable form of health care? Does it really work? There are many misconceptions out there about today’s chiropractors. Rumors and myths are never a good place to base our expectations. Factual information is better. Here is some information that may help you understand a little better about chiropractors ! of course further studies of the human musculoskeletal system. Along with academics, chiropractors put in much time with patients gathering hands-on experience in spinal manipulation techniques and more. Chiropractic has actually been around since the 1800’s. It started with a father-son team by the last name of Palmer who are credited with pioneering this healing methodology. Do Chiropractors only crack backs? a great deal to do with a person’s health and well-being. A misaligned spine affects nerves and muscles. Chiropractors also treat a variety of ailments including sports injures, whiplash, concussion, neck and low back pain, repetitive strain and postural conditions to name a few. Other conditions such as chronic asthma, earaches, headaches, colic, digestive problems are typically helped by chiropractic treatments by addressing muscle and joint compensation and postural imbalances. Chiropractors also utilize other forms of physical therapy such as: Myofascial Release, Stretch/Rehabilitation Exercises, Laser Therapy, Ultrasound, IFC and TENS Muscle Stimulation, Nutritional Counseling and more. Do Insurance companies pay for their services. Most insurance carriers incorporate chiropractic into their scope of covered procedures under paramedical extended health benefits. Many preventative treatments offered by DC’s are extremely effective alternatives to traditional medications. One should check with their health insurance provider to see what types of coverage is available to them for chiropractic. Once I start will I have to go for the rest of your life. a series of adjustments to accomplish the goals, they don’t take a lifetime! However, many patients choose to maintain their spinal health and will see a chiropractor once every 6 to 12 weeks for maintenance care. 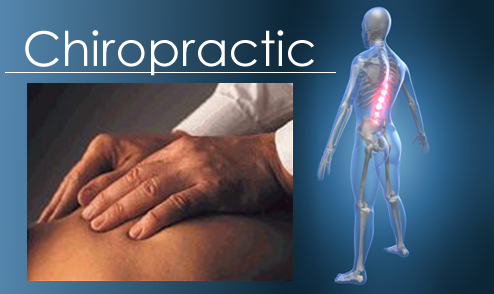 Chiropractors are well-trained professionals who have gained increased popularity over the years. Come visit us and see if chiropractic can help you!